Theanine 100 100mg 60 caps. 1 capsule 1-2 times per day on an empty stomach with some water or juice. This product is recommended especially during intense mental effort. In addition, it has a beneficial effect on the body, when exposed to stress. Theanine has a sedative properties, but most likely does not cause sleepiness, so there are no major contraindications to be used during the day. This product can be combined with caffeine in order to increase the effect. 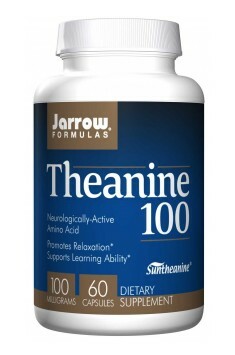 The recommended daily dose of theanine is 100-200 mg (1-2 capsules) per day.